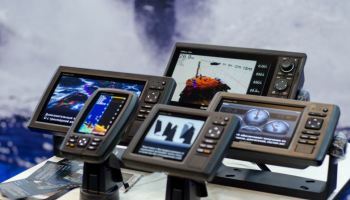 Humminbird does not need too many presentations in this fishing industry. The successful manufacturer has developed some of the most innovative fish finders on the market. The Helix line seems to dominate the market and it is easy to tell why. But with so many options out there, which one is the right model for you? 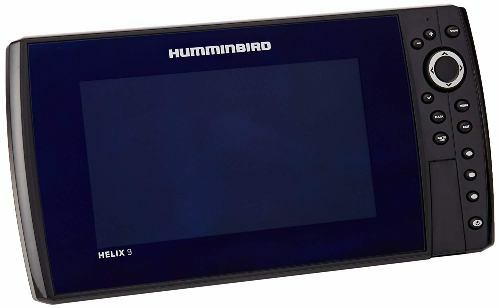 This Humminbird Helix 9 review should give you all the details you need for a more informed decision. Assess your necessities and expectations, find out what to look for in a fish finder and decide whether Helix 9 is the right option for you. 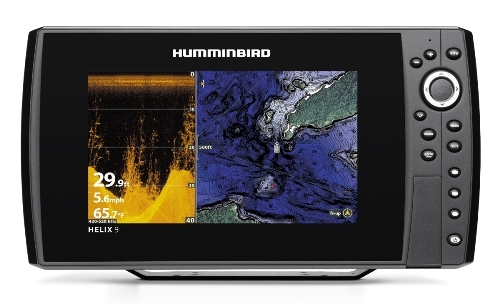 Released in 2016, Humminbird Helix 9 DI is an upgraded version of the previous fish finder. It carries some similar features, but it also comes with a series of innovations. It belongs to a new generation that covered two different fish finders – DI and SI. The screen measures 9 inches in diagonal. It is more than enough to observe small details and fish. It is definitely an improvement from the first generation. At the same time, Humminbird upped the game a little for its competitors by increasing the size. It features a 65,000 color TFT scheme. As for the maximum resolution, it goes to 800x480. It is backlit. Whether you fish early in the morning before sunshine or in terrible weather conditions, the backlight feature will ensure a good visibility. Furthermore, you can see the imaging even when placed in direct sunlight. When it comes to imaging, you have two different options – Down Imaging and DualBeam Plus. Choosing the right one depends on the type of water. Down imaging is quite handy for shallow waters, while the DualBeam Plus feature is more suitable for deep lakes and saltwater. All in all, Down Imaging goes down to 350 feet in depth. On the other hand, DualBeam Plus can go down to 600 feet in depth. Whether you are a fishing beginner or a more professional user, chances are the depth will be more than enough for a good experience. The depth and frequency are highly related one to another. Since different frequencies require different depths and types of water, the numbers are obviously quite varied. From this point of view, Down Imaging allows 45 degrees at 800kHz, as well as 75 degrees at 455kHz. While the angle and view are better, the frequency is lower. On another note, DualBeam Plus allows 16 degrees at 455kHz and 28 degrees at 200kHz. Choose the wide angle to scout a larger area and the narrow angle for a more detailed image of a certain place. The Humminbird Helix 9 manual should give you more details about using frequencies the right way. It looks like Humminbird has actually paid attention to the slight minuses of previous Helix generations. The Helix 9 DI model comes with something that everyone asked for before – Ethernet connectivity. Simply put, connect an Ethernet cable into the device and you can share sonar imaging or data, not to mention about software or map updates. Unsurprisingly, the fish finder comes with NMEA 2000 and NMEA 0183 ports as well. These ports are part of the grid normally available in a boat, so you can integrate the device into the grid. It is compatible with plenty of other devices, so communication will never be a problem. Other useful features in connectivity include the two microSD slots – excellent for updates and data transfer. The Gimbal mount is not a new thing in Humminbird Helix fish finders. Just like previous models, this one features a swiveling racket mount. You can also have a different mounting kit, but you will need to buy it separately. Another demand from fans using previous generations was the cover. 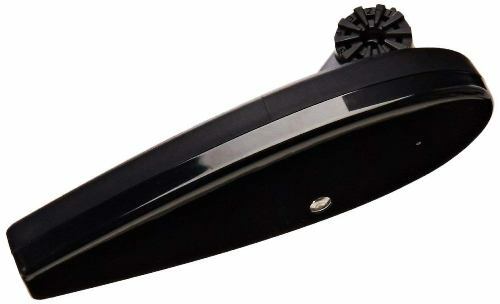 Humminbird Helix 9 DI comes with a protective cover. You can use it for storage or transportation. The transducer is superior to other similar items. The model comes with a 20 foot long cable, as well as a built-in thermometer. Not only does the thermometer display the water temperature, but it also helps in the automatic design of graphs – ideal to notice temperature variations as you move. The Switchfire setting is implemented in the device and allows sonar filtering. The Selective Fish ID+ function is just as handy, not to mention Split-Zoom, Screen Snapshot, RTS or Bottom Lock. Sonar Recording allows saving data. Some of them can be classified as bells and whistles, as not everyone can find a use for them. They are mostly recommended to advanced fishermen. On the other hand, basic extras are excellent to make your life easier. For example, the Split-Zoom feature allows two different zoom levels on the same screen. There are more things to look for in a fish finder and some of them might look a bit technical. The power is a crucial consideration. It is counted in watts. The more wattage you get, the faster, more accurate and detailed your readings will be. On the same note, having less wattage will make the fish finder slow. Not only is it frustrating to wait for data, but you may also miss the big fish. Obviously, it also depends on your experience, the type of fish you want and the waters you fish in. The display is often overlooked – a terrible mistake. Pixels are all about the details. More pixels mean more detail. A pixel is a dot. If the resolution is 800x600, it means you have 800 dots from left to right on each row, as well as 600 dots from up to down on each column. Having a low resolution underlines a small screen. Even if the screen is bad, the low resolution will display foggy images. Finally, the transducer is the main part. It sends and receives sonar waves. Opt for a powerful transducer, more frequency range and solid material. The transducer is often responsible for the quality of your image. 1. 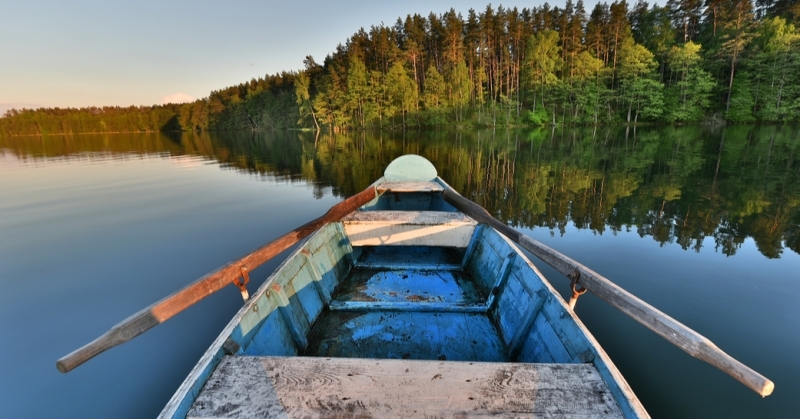 Is it safe to use the fish finder in rainy conditions? The fish finder is IPX7 waterproof. It can take water splashes, rain and even accidental immersions, yet immersing the unit into the water is not really recommended. Upgrades are released every once in a while. They are not automatic, but you will be notified when a new upgrade is available. The manual of instructions has all the information requires for upgrades, while the fish finder has multiple connectivity options. 3. Does the fish finder need an Internet connection to work? No. You will need an Internet connection to upgrade it, yet you can also perform this activity through a microSD card. You will have to get online on your computer in order to download the upgrade though. In the end, this Humminbird Helix 9 review should give you enough ideas about what to expect from such a professional gadget. With such a good features that this device offers, there is no doubt that we are rating it at 4.9 out of 5 stars. Of course, it is mandatory for you to make the decision depends on what expectations you are looking for.